Apple announced OS X Mavericks at WWDC yesterday, they have now released a Beta of their latest OS, which has revealed that their is a new Retina iMac on the way, and it looks like it will feature a massive resolution of 5120 x 2880 pixels. The new Retina iMac is hinted at with the release of a new OS X Mavericks background image that features a 5120 x 2880 pixel resolution, we suspect Apple will release a 27 inch Retina iMac with this resolution and also a new Apple Retina Thunderbolt Display. 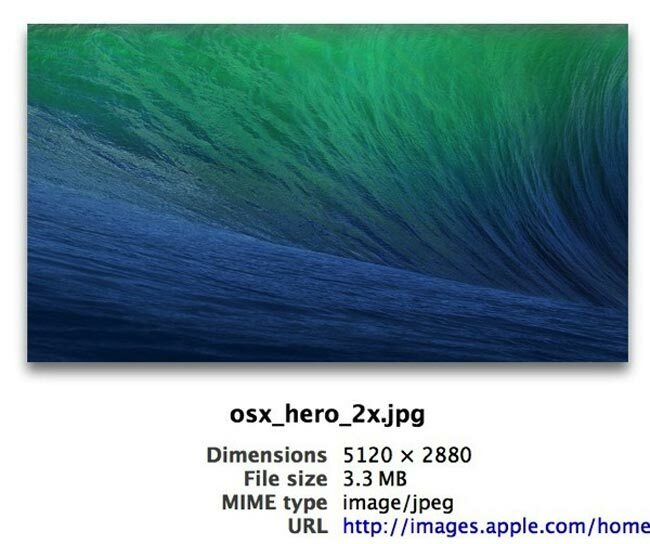 The image above was posted on Twitter by Martin Scharle, and is apparently similar to the Retina sized backgrounds that appeared in OS X Lion back in 2011, before Apple launched their new Retina Display Macs. We suspect that Apple will officially announce a new Retina iMac later this year at the same time as they announce their new iPhone 5S, so we can probably expect an announcement around September.